Dynamic CommSource Inc. can provide decommissioning services anywhere in the United States and we have experience removing used phone and datacom equipment and remarketing it to recover valuable assets for your company. While you may think that your old phone system is just scrap, it may be that your old business phones and phone system can be worth a lot of money. Dynamic CommSource is willing to purchase your old phone equipment at a fair price. Learn more about our Asset Recovery program. We can manage the decommissioning and de-installation of one system or an entire network of systems and provide detailed reporting and remarketing services for your valuable telecom and datacom assets. 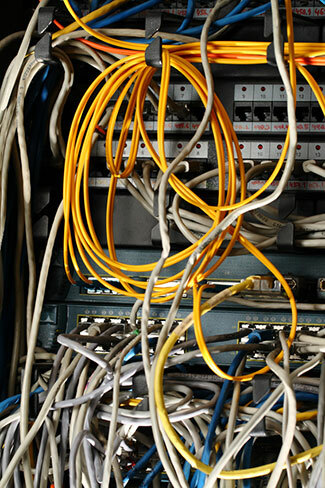 We have qualified telephone technicians who are experienced in telephone service and de-installation. We are fully licensed, bonded and insured to perform these services at your sites. We can custom design a decommissioning package to tailor fit your organization and business needs today. If you have any questions about your equipment or our process, please email us or call 1-888-234-4975 today to get started, or just to ask some questions with one of our qualified engineers.